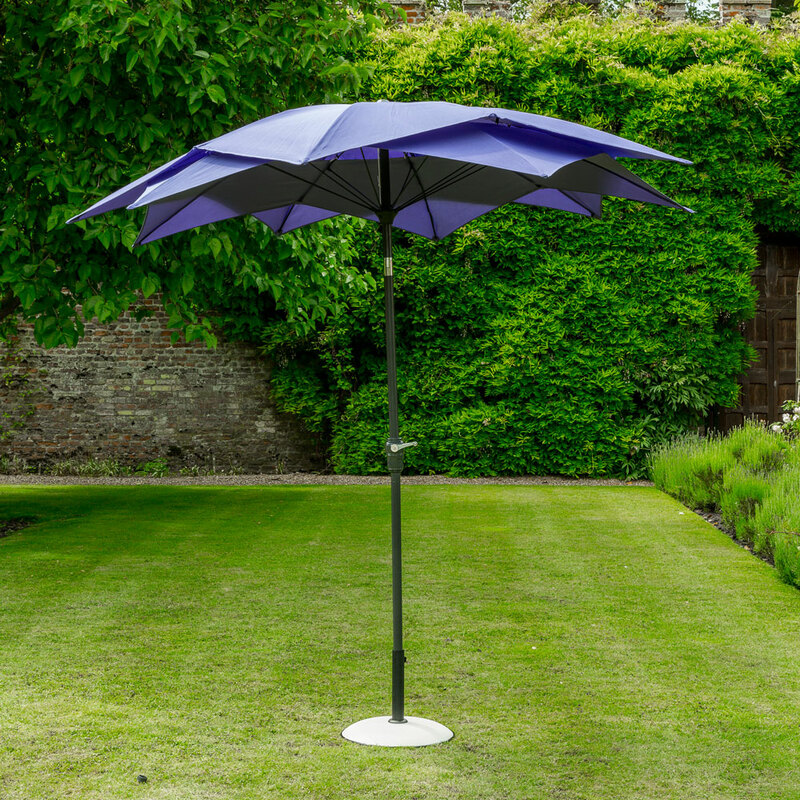 Add some style to your garden with the Lotus 2.7m Parasol. The double weatherproof canopy will brighten your garden, whilst being an added talking point. Features a crank handle and push button tilt for ease of use. https://www.bents.co.uk/lotus-parasol-2-7m-purple-gfapar0131 949 Lotus Parasol 2.7m - Purple https://www.bents.co.uk/media/catalog/product/g/f/gfapar0131-2.jpg 99.99 99.99 GBP OutOfStock /Garden Furniture/Parasols /Garden Furniture/Norfolk Leisure/Norfolk Leisure Parasols Add some style to your garden with the Lotus 2.7m Parasol. The double weatherproof canopy will brighten your garden, whilst being an added talking point.